It is with sad hearts that we announce the passing of MARY ANN FOX (nee Yellowhorse), beloved wife of Richard (Joe) A. Fox Jr. Mary Ann returned peacefully to her Heavenly Father at the age of 59 on March 28th, 2016. Mary Ann is survived by her husband of 38 years, Richard; their children, Jana (David), Kansie, Amanda, Travis, Tamara, Riley; their five grandchildren, Kasmira, Elijah, Monroe, Cohen, and Winter. Mary Ann is also survived by her parents, Hubert and Myrtle Yellowhorse; her siblings, Susie, Evelyn, Russell, Roland, and Rupert; her beloved cousin, Rena (Gary) Dunn; and many numerous cousins and extended family. Mary Ann was born in Tuba City, Arizona and raised as the eldest of six children on the Navajo Reservation near the Grand Canyon. Mary Ann met her husband while attending Brigham Young University. They married in the Cardston Temple on May 5th, 1978. Richard and Mary Ann built their home and raised their family in the Bullhorn Coulee on the Blood Reserve. Mary Ann was a devoted mother and wife, always going above and beyond in nurturing and providing for her husband, children and grandchildren. She will always remain as a foundation for integrity and strong spiritual beliefs to her husband and family. Mary Ann enjoyed participating in numerous events and gatherings with her family. She was revered for her delicious traditional Navajo frybread amongst her family, friends and at many events. Mary Ann often looked forward to visiting her parents, siblings and relatives in Arizona, Utah, and Nevada. She loved to travel with her family to numerous locations such as California, Florida, Mexico and Hawaii. Mary Ann served faithfully in several positions in The Church of Jesus Christ of Latter-day Saints. She was active in several church wards during her lifetime including Glenwood, Cardston Kainai Branch, and Lethbridge. Mary Ann is cherished by all her loved ones and will be greatly missed. 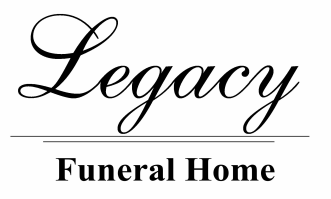 ​A Wake Service will be held at the Legacy Funeral Home, Cardston on Thursday, March 31st from 7:00 to 9:00 p.m. The Funeral Service will be held at The Church of Jesus Christ of Latter-day Saints, CARDSTON ALBERTA STAKE CENTER (EAST HILL), Cardston on Friday, April 1st at 11:00 a.m. Friends and relatives may meet the family at the Church from 10:00 to 10:45 a.m. prior to the Service. Interment to follow in the Glenwood Cemetery.